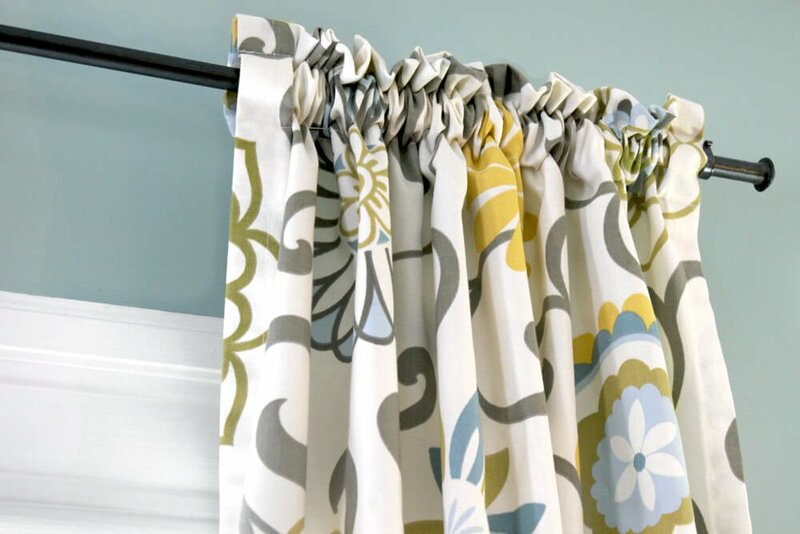 Rod pocket curtains are the easiest style of curtain to make. It’s simply a panel of fabric with a tube at the top for the curtain rod. 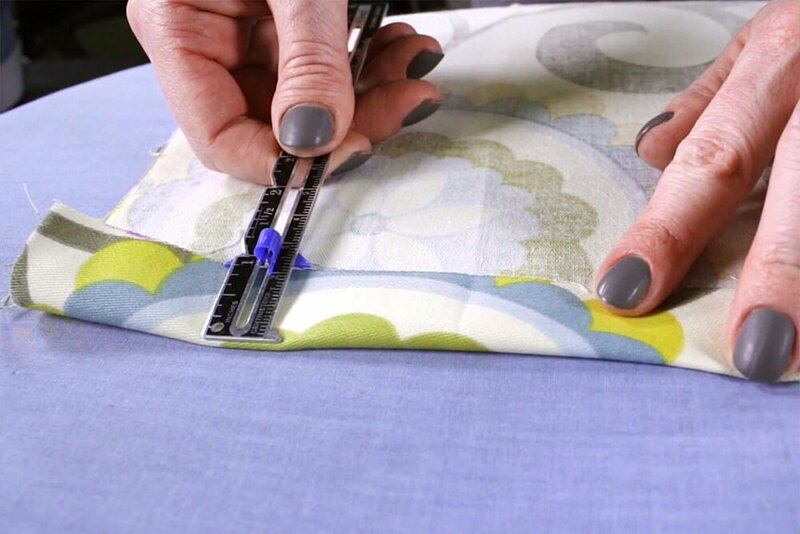 This tutorial shows how to make an unlined rod pocket curtain, but a lining can be easily added. Cut the lining the same size as the finished curtain and tuck it under the hems and sides before sewing. 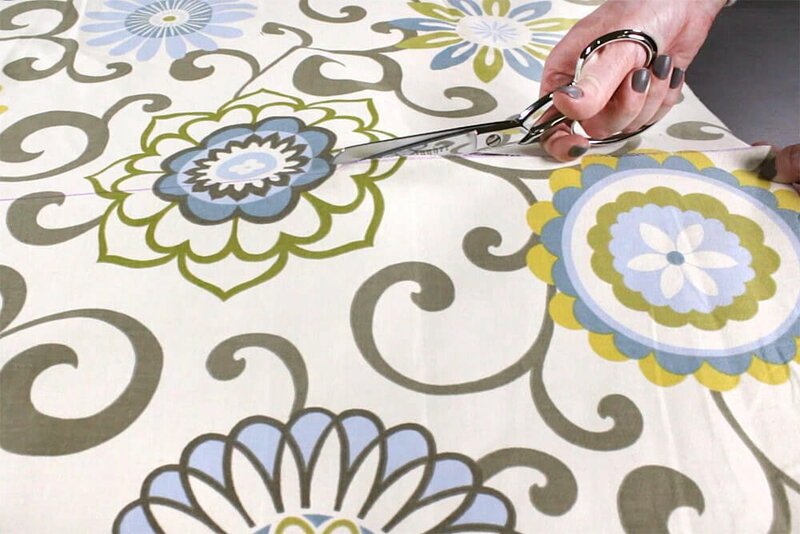 See How to Sew Lined Tab Back Curtains for more details on adding a drapery lining. If you want to add drapery lining, cut it to your desired finished dimensions. Center it on the back of the drapery fabric and pin together. Then when sewing the sides, top, and bottom, the drapery lining should be under the folded edges. 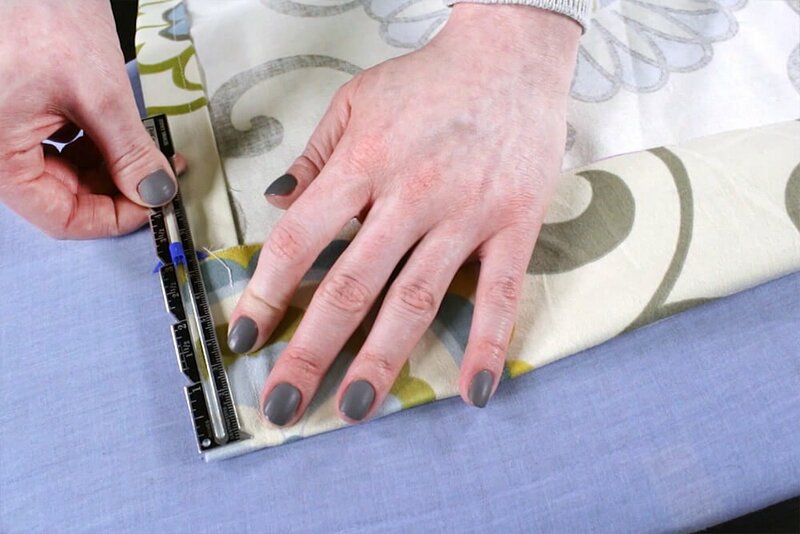 To determine the size to cut your fabric, take the dimensions you want your curtain panel to be and add 4” to the width and 12” to the height to account for the hems. To figure out what total width your curtains should be, multiply the width of the window by 1.5 or 2, depending on how full you want the curtains to look. This curtain will be 3 ft wide and 4 ft tall when finished so I’m cutting the fabric 40” wide by 60” high. First I’m going to hem the 2 sides of the panel. Fold the edge over 1” and press. 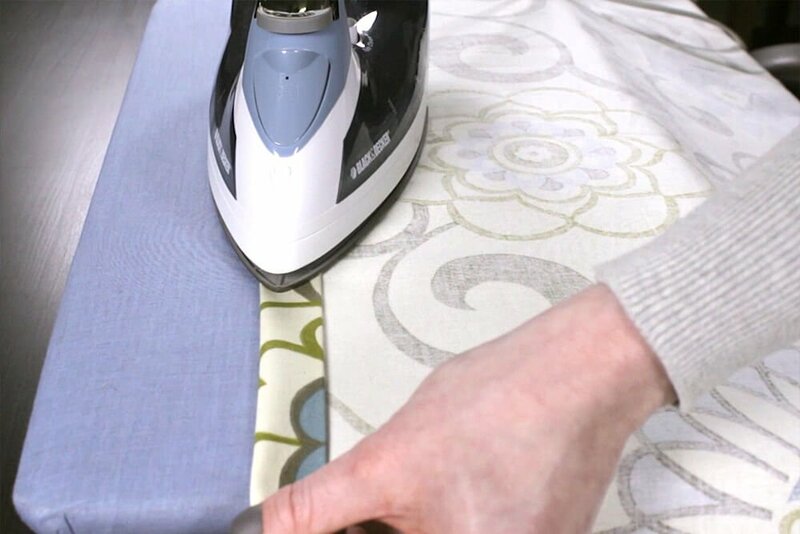 Then fold it over another inch and iron it again. 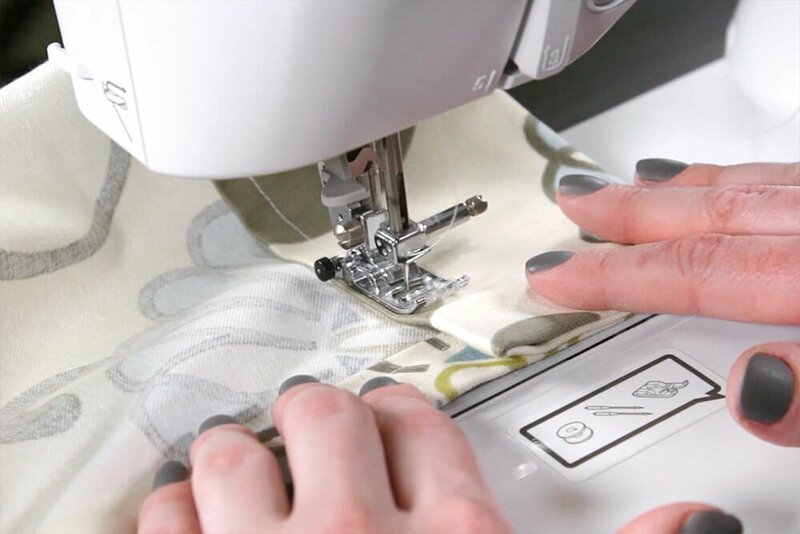 Sew down the length of the panel ¾” from the edge of the fabric. Back stitch at the beginning and end to secure the stitches. Repeat this for the other side of the panel. 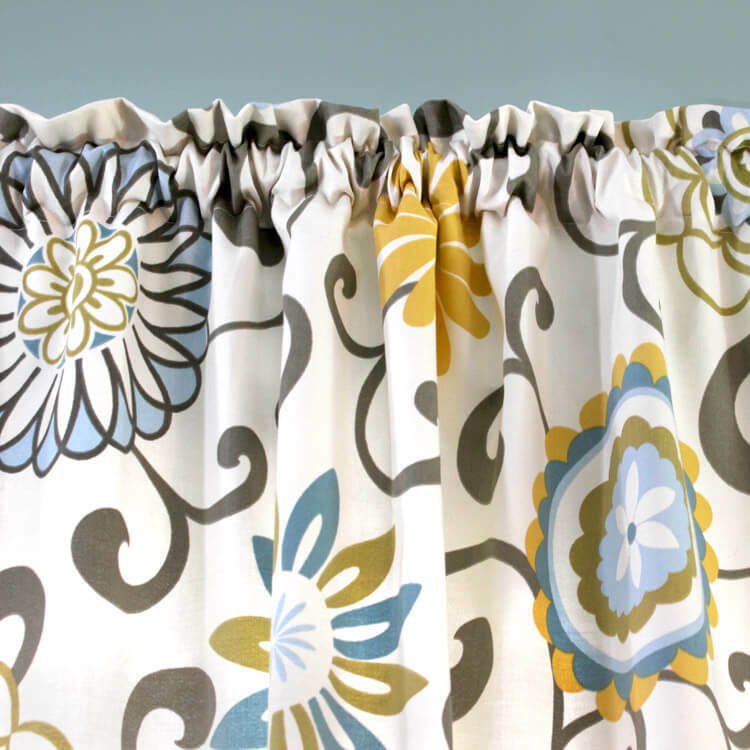 The top hem forms the rod pocket, which should be at least twice the diameter of the curtain rod. For this curtain, I’m making a 3” double fold hem. 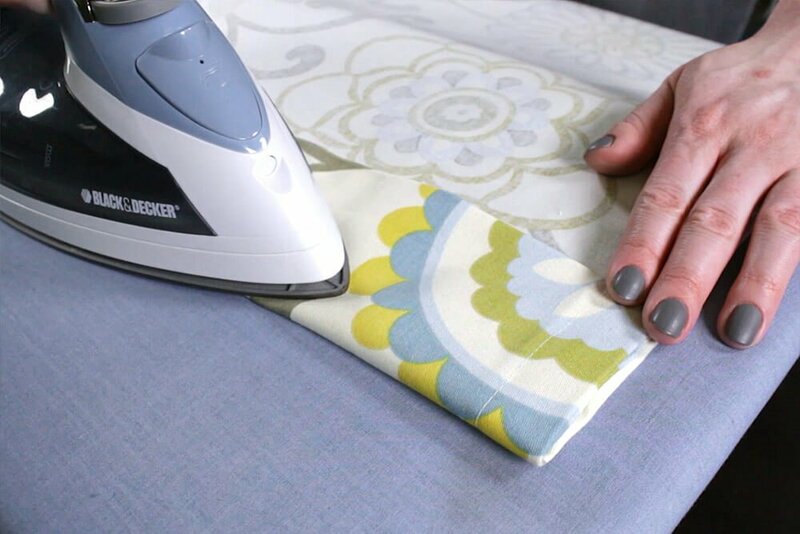 Fold the fabric over 3” and iron. Then fold it over another 3” and press again. Pin the fabric in place. 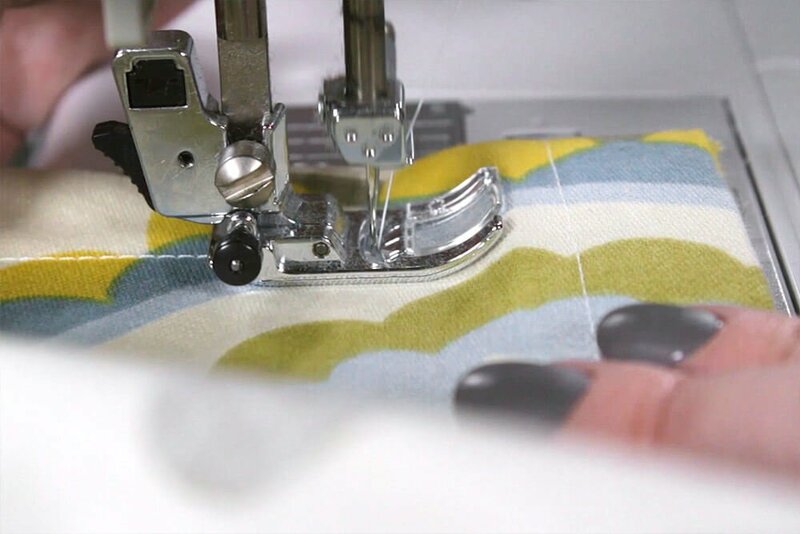 Sew along the bottom crease of the hem about ¼” from the edge to form the pocket. 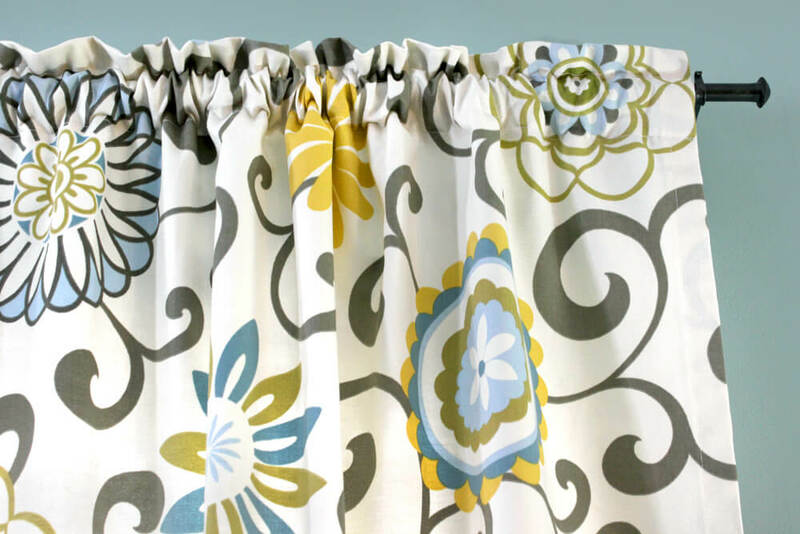 The top can be done at this point, or you can choose to add a header, which will make the panel extend a little past the top of the curtain rod. I’m sewing 1” from the top of the panel to form a 1” header. To make the bottom of the curtain fall exactly where you want, hang the panel first to better judge how much to hem. Finally, sew the bottom hem. For this curtain I’m ironing another 3” double fold, like for the top hem. Again sew ¼” from the crease. Looking for more beautiful drapery fabric? Click here to view our selection! If the size of my window is 40 wide and 40 length and I want two panels for that window what was the size of each panel be? If you want a 1"header, shouldn't the top be folded 4" then 4" again? BEST ANSWER: It depends on the rod size. In this case, a total opening of a bit under 2 inches was fine, but if you have a larger rod, then yes, adjust the measurements accordingly. Do I need to wash my fabric first? Why are the pocket & hem double folded? BEST ANSWER: Double folding isn't necessary, but it adds a little extra stability and weight so the fabric hangs nicely. I am making curtains with header and rod pocket but I want the rod pocket to be made of different material and can't figure out how to do this? BEST ANSWER: Sure, you can do this without much trouble. 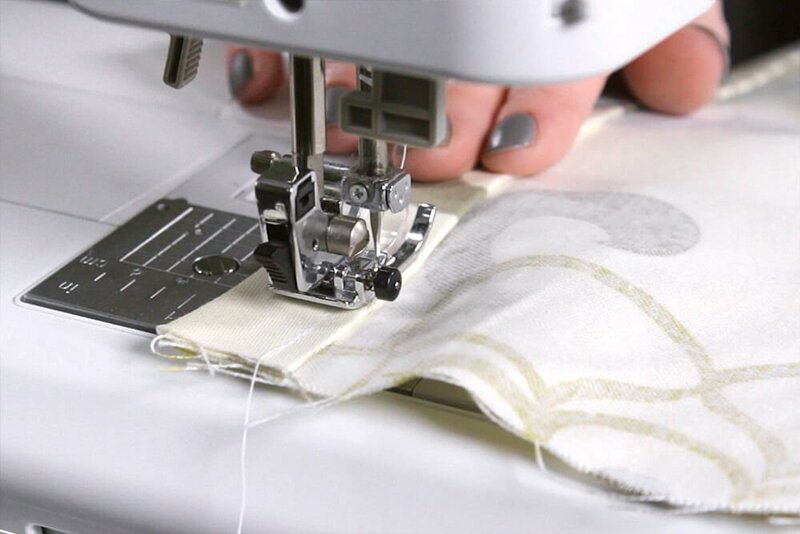 When you cut the fabric in the beginning, cut a piece of the rod pocket fabric that's the same width as the curtain fabric and 3 times the header height plus 1/2" for a seam allowance. 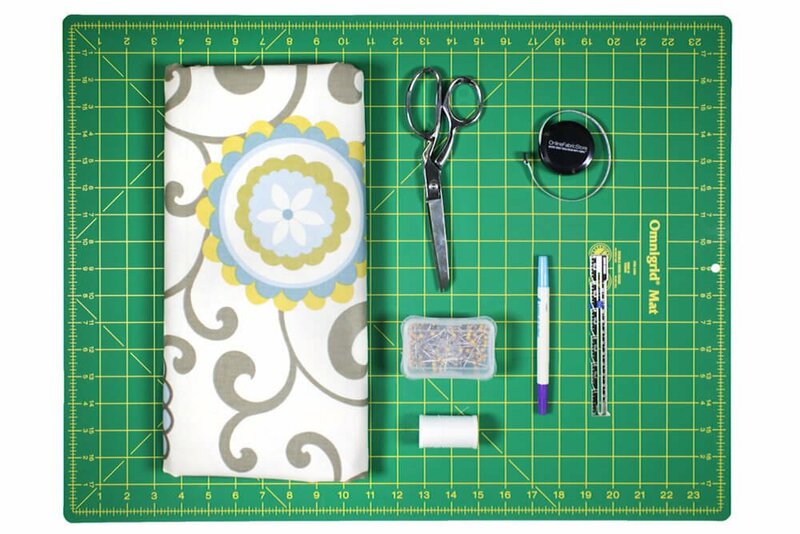 In this tutorial with the 3" double folded header, that's 9.5 inches. Cut the curtain fabric shorter by 3 times the header height minus 1/2 an inch, so 8.5 inches shorter with the 3 inch header. 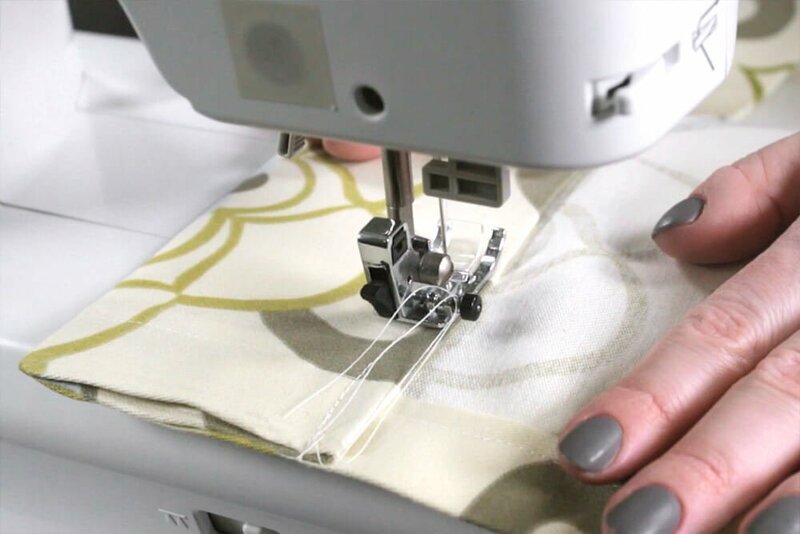 Sew the rod pocket fabric to the curtain fabric with right sides facing and a 1/2" seam allowance. Continue as normal. When you fold the header, tuck the raw edges of the seam under the fold before sewing, and that should do it! I am using really thick material and a lining for mullion windows. Should I still use 1 1/2 times the material? BEST ANSWER: Since a thick fabric will take up more space when bunched up, you may not be able to open the curtains as fully as you would like at 1.5 times the width. If you're OK with the fabric being a flat panel when closed, you may want to only use the the rod width as the curtain panel width. Or, if possible, extend the rods past the edge of the windows so the window won't be partially blocked when the curtains are open. I understand that with mullion windows this probably won't work if you're putting panels on each window. Should I cut off the selvage along the length of the fabric? BEST ANSWER: Yes, it is best to cut off the selvage.